The Hotel degli Aranci is located in a residential area in the City of Vieste. Located about 200 meters from the sea, it offers its guests the beach service. 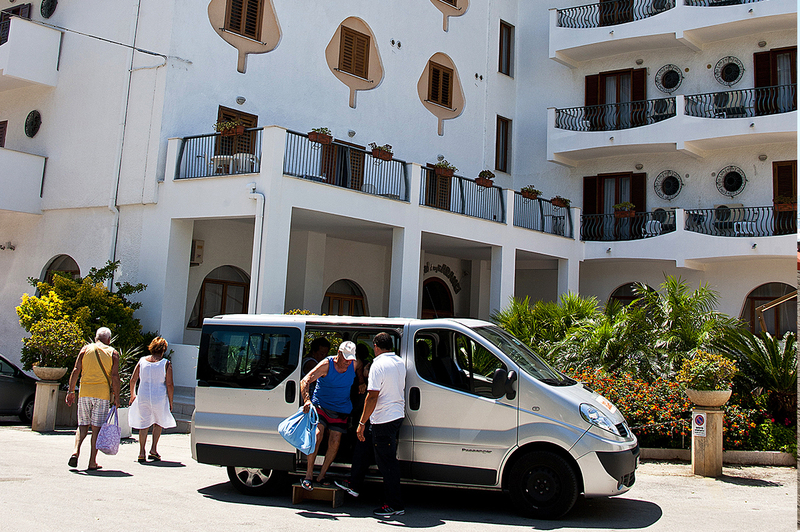 To make moving from the Hotel to the sea more comfortable, easier and more relaxing, you can use the free shuttle service, which runs tirelessly from morning until late afternoon. The equipped beach of the Hotel is located on the Enrico Mattei seafront, here where the stack of the Pizzomunno rises, an imposing limestone monolith, about 25 meters high, famous for its romantic legend and for the song of Max Gazzè which he gently inspired . 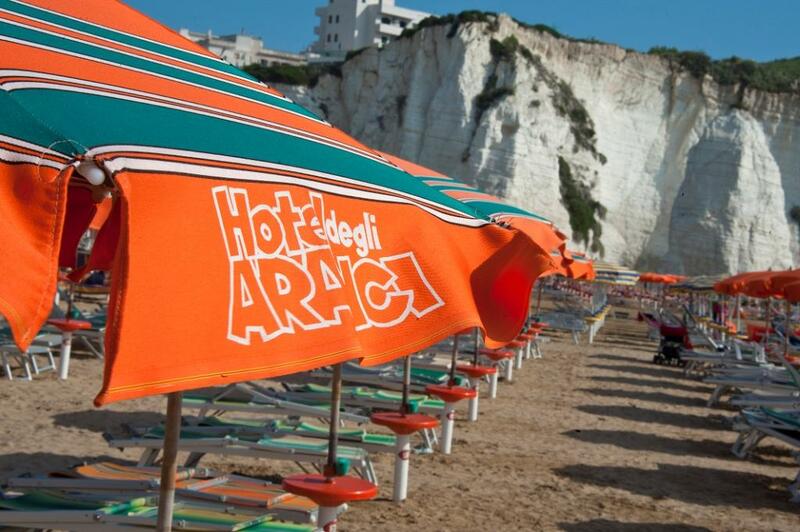 The lido of the Hotel degli Aranci offers its guests beach umbrellas, sunbeds and deckchairs and services such as the free WiFi connection, a snack bar, games for children and entertainment (from June to September).